The SNAME Pacific Northwest Section along with WISTA Canada (Women's International Shipping & Trading Association) are pleased to host Dorota Kwasnik for her talk on the Port of Vancouver's efforts to reduce port related air emissions. The talk will focus on energy conservation through Utility incentives, low carbon options for heavy duty trucks, potential electrification of cargo handling equipment, and the use of new cleaner energy options for commercial shipping such as LNG and shorepower. The event is free to attend, with food and drink available for purchase from the restaurant. 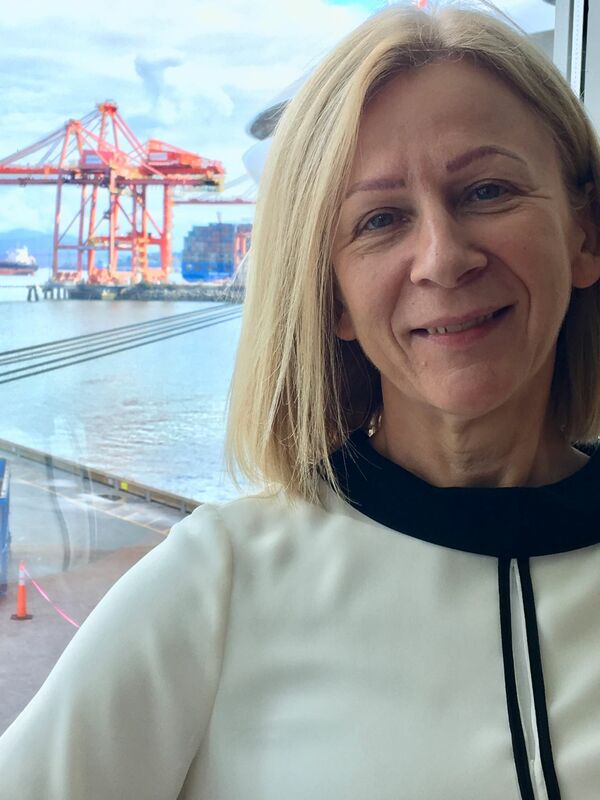 As the Industrial Energy Manager at Vancouver Fraser Port Authority, Dorota Kwasnik is responsible for implementing a Strategic Energy Management Plan, driving energy efficiency, and promoting low carbon fuels at the Port. Her main focus is on helping Port tenants to identify cost saving opportunities in the area of electrical equipment and lights optimization. She is the liaison between the Port, Port tenants, and the local utility provider, enabling her to obtain the best incentives for energy consumption saving projects, optimize new load connection costs, and negotiate optimum rates when available. Dorota promots a sustainable energy management culture by exploring low carbon energy and cleaner fuels opportunities suitable for implementation within the regional port gateway in support or alignment with provincial and federal GHG reduction targets including Canada’s commitment under UNFCCC 2015, to minimizing climate change to well below the 2 degrees Celsius scenario. She drives development of LNG Bunkering capabilities at Port of Vancouver to attract cleaner fuel vessels to Canada's largest Gateway, and leads development of Port Electrification Roadmap. Prior to working at the Port, Dorota spent 15 years in various operational and leadership roles in the cement manufacturing industry in Canada and the USA. In her role as Technical Center Energy Manager, she led operational efficiency improvement efforts of 20 North American cement plants that resulted in significant specific power consumption reduction, and contributed to approximately $8M power cost savings in two consecutive years. Dorota is a Professional Engineer and Certified Energy Manager who holds a Master’s of Science in Chemical Engineering from Gdansk Technical University.